Nobody does linen drapery better than Anavila. 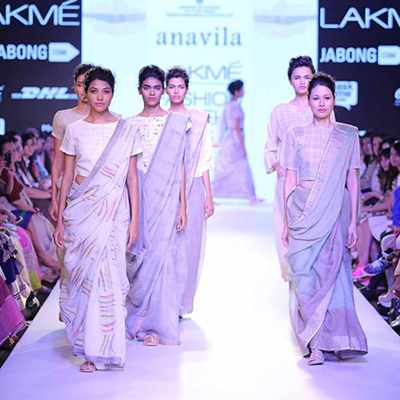 Effortless summer linen sarees in earthy hues took centre stage at the designer’s showcase. 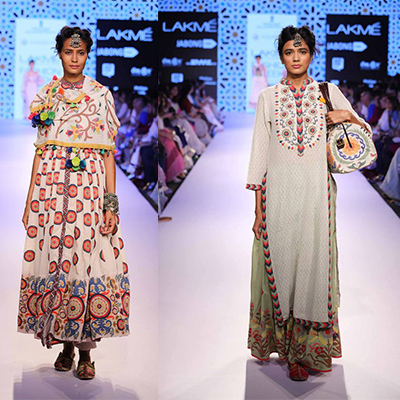 Patine showcased the understated elegance of the seventies with easy separates done in chikan, kantha, gara and threadwork. 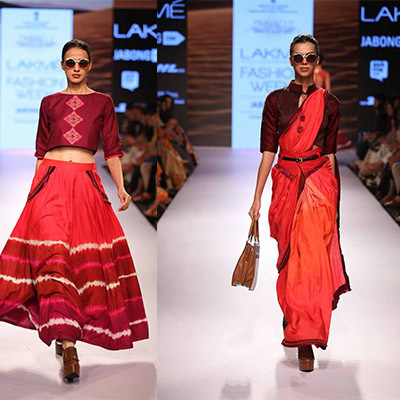 Vrisa by Rahul and Shikha presented a rural-chic collection with colourful Indie prints. 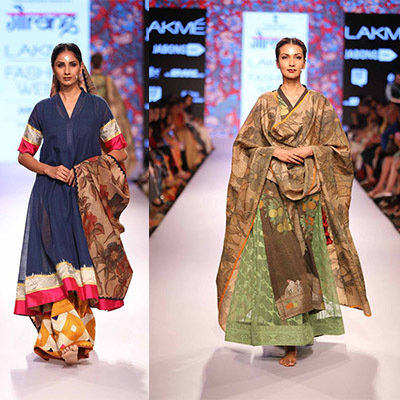 Gaurang offered innovative textiles by merging khadi with phulkari, kalamkari and chikankari to create stunningly crafted sarees, ghagharas and kurtas. Pinnacle by Shruti Sancheti offered midis, floppy pants, jumpsuits, pleated pants, tail coat jackets, spliced skirts and completed the line with saris. 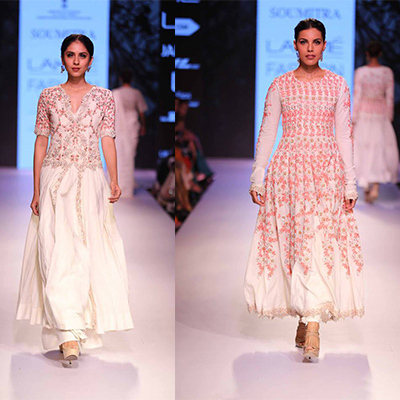 Embellishments and 3D works were the highlights at Marg by Soumitra. Miss Bennett London struck the right cord with young fashionistas by bringing an eclectic mix of wearable and sporty outfits. Cross-back bralets, skater skirts, aztec and floral prints, and playful jumpsuits made a swaggering appearance. 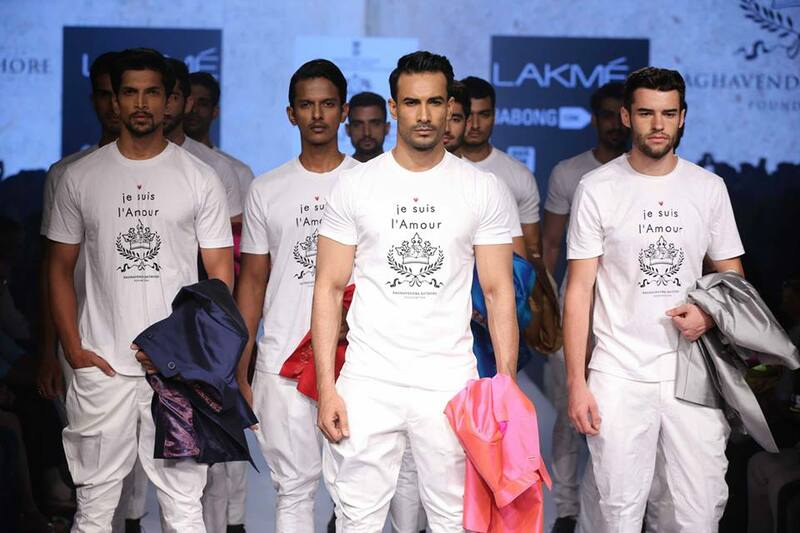 The final show of the day by Raghavendra Rathore reigned the runway with royal outfits ranging from tuxedos, bandhagalas, sherwanis, printed shirts and jodhpuris, while showcasing a great attention to detail. In case you missed it: Opening show, Day 1 and Backstage buzz.